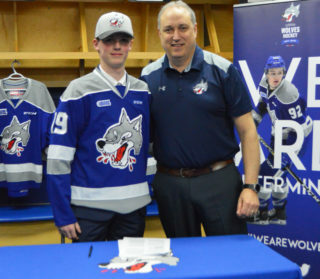 (GREATER SUDBURY, ON) The Sudbury Wolves are pleased to confirm that they selected three players from the U-18 Draft Wednesday night. 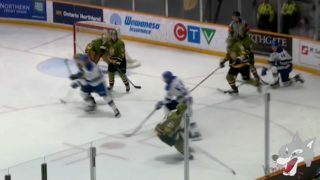 Of the three players, the scouting staff and hockey operations identified a Goalie along with a Defenceman and a Forward. With the 1st overall selection in the draft, the Wolves selected Mitchell Weeks, a 6’3, 175lb goalie from Barrie, Ontario who played last season with the North Central Predators. 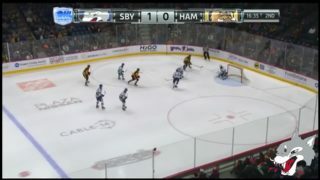 “Mitchell is a player that we really liked in last year’s draft when he played for Barrie. 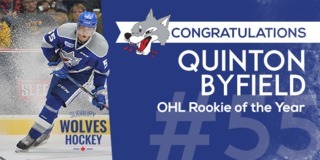 This year he had a significant growth spurt and a strong season with North Central where he was also named an ETA All-Star,” said Rob Papineau, Sudbury Wolves VP & General Manager. “He is big and agile and reads the play well. He also has good control of his rebounds. He is very competitive and thrives on one on one challenges. 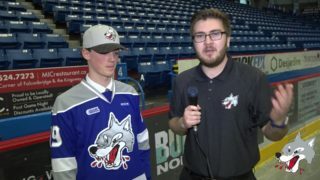 Along with Weeks, the Wolves selected left-winger Ryan McAllister from the London Jr. Knight in the second round and defenceman Jack Zekelman from the Windsor Jr. Spitfires in the third. “We were pleased with last year’s draft and the excellent performance by Emmett Serensits and will look for these young men to compete the same way,” Papineau added. Fans will enjoy Free Popcorn for the weekend at both sessions as well as select concessions stands will be open with special features and pricing for the welcome weekend. Prior to the on-ice scrimmage Sunday, this being the first time the organization has come together on the ice to play, the Wolves will feature a short tribute and moment of reflection to the tragedy that occurred last week in Humboldt before the ice session. Season tickets will be on sale with a special new season ticket holder price of $55 off the regular full season ticket pricing for the month of April only. 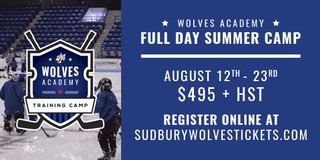 The Wolves Office will be set up to answer questions and help choose seats this weekend and throughout the Telus Cup schedule during the last week of April. On-ice sessions run Saturday from 7-9pm and Sunday from 11:30am – 1:30pm. On-ice sessions are free and open to the public.